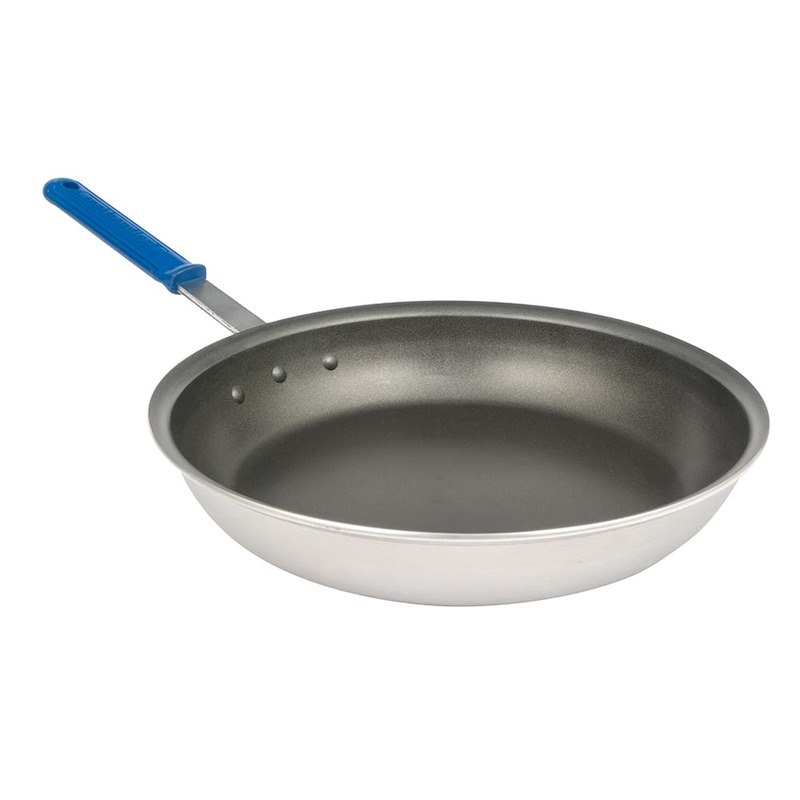 The Vollrath Z4014 Wear-Ever® frying pan is made from an aluminum alloy that resists warping. Its handle is securely attached with EverTite™ rivets, and its scratch-resistant CeramiGuard II® nonstick coating is free of PFOA. This coating has a long release life and protects against damage from metal utensils. The Vollrath Z4014 frying pan also has a Cool Handle® sleeve that can be removed and replaced. This handle sleeve is safe in temperatures as high as 450 degrees Fahrenheit and does not transfer heat. To learn more about cookware and their materials, check out our cookware buyers’ guide. "At 74 I've tried a lot of nonstick pans. This pan is exceptional." "I cannot express how much I like this pan. The coating is the best I have ever used and the overall weight and construction of this pan is excel..."
"Pan was exactly what I needed for large gatherings. Met all my expectations price was good and shipping was fast, "I'll be back""
"I cannot express how much I like this pan. The coating is the best I have ever used and the overall weight and construction of this pan is excellent. I was leery of the handle but I absolutely love it. Furthermore this pan is made in the U.S.A.. To sum it up buy this pan, you will not be sorry." "Great pan, GREAT price! And, as always, great service." "We are very pleased with this product. The non-stick finish is excellent as is the overall quality. A handy, practical pan for everday use."